Ford's Edge is handsome and big, but does the revised version do enough to convince as 'premium'? The Ford Edge gains new looks, more tech, greater drivetrain choice and a snazzier interior as part of its midlife model update for 2019, but it still remains an SUV that is stuck between a rock and a hard place, thanks to its (likely) robust pricing and lack of a seven-seat option. Ford's Edge, while originally hailing from the USA, actually has a smart, urbane and generally attractive appearance that makes it stand out in its field, all while simultaneously appealing to conservative European tastes, and the fairly subtle 2019 model year amendments to its visuals do nothing to harm that. Although let's start with our main whinge at the designers, which is this: why did you get rid of the Edge's full-width rear light signature? Ford's largest SUV has a pair of banal, separate clusters either side of the tailgate for the 2019MY and beyond, which seems like a shame to us. Not that how the rear of your SUV looks at night is a genuine deal breaker or anything, but full-width lights are all the rage - just ask Porsche, which is dropping them onto every model it possesses. Otherwise, up front the now-LED-as-standard lights no longer meet the trapezoidal radiator grille, while the lower airdam area has been revised. Four new colours and five designs of alloy wheel, from 18 to 21 inches in diameter, complete the 2019MY set. Inside, the formerly part-digital instrument cluster has been replaced with an all-digital affair with a good degree of configurability, while the automatic models gain a rotary shift dial that frees up space beneath the centre console - space Ford uses to good effect, by offering a Qi wireless smartphone charging pad to fill in the gap down there. Over-arching updates to the range include more safety tech (such as Active Cruise Control that now has a Stop&Go function, plus Evasive Steering Assist, Lane Centring, Post-Collision Braking and Cross-Traffic Alert, among more) and a wider choice of drivetrains before. Whereas the pre-facelift Ford Edge had one 2.0-litre turbodiesel engine, which either came with a 180hp single-turbo unit and a six-speed manual gearbox or a 210hp twin-turbo engine and a six-speed automatic, now the Edge has three power outputs - albeit, they're all still produced from the same 2.0-litre, four-cylinder, diesel powerplant. Choose from 150hp, front-wheel drive and an eight-speed Quickshift automatic, or 180hp, 'Intelligent All-Wheel Drive' and a six-speed manual, or 238hp, i-AWD and the automatic. You'll note that the new tech here is the more advanced, eight-speed self-shifting gearbox and also i-AWD, which 'decouples' the rear axle from proceedings as often as it can to save fuel. As before, the 150- and 180hp Edges have one turbo, while the muscular 238hp model has two, and all engines go under the 'EcoBlue' badging. Trim lines remain unchanged on the 2019MY SUV: there's luxury Titanium, sporty ST-Line and then super-grandiose-luxury Vignale to choose from, the latter of which gains its own design of radiator grille, chintzier alloy wheels and a quilted leather interior. Knowing that Ford is a doyen of fine chassis tuning, having turned out some of the greatest-handling mainstream cars of recent years, and that it is trying to tempt people out of some big-hitting, badge-desirable premium rivals, you'd think the American company would have gone all-out to make the Edge great to drive. And yet, it hasn't. Which is not to say that it's bad. Nor, actually, that we drove the 2019MY version on the limits of tyre adhesion everywhere, as we actually tested the big SUV on the compacted snow-and-ice of late-November Sweden (-18 degrees C) - meaning ultimate cornering grip was not on the agenda. However, we've never been blown away by the handling talents of the Edge and we have little reason to suspect anything notable has changed here. It still feels like a car with rather light, feel-free steering and a reluctance to do anything but serve up clean, unflustered, slightly dull handling manners. We're also not certain where all the 500Nm of the top-spec bi-turbodiesel has got to either, because the Edge doesn't feel super-rapid, even when you gun it. However, what we will say is that the refinement levels are right up there with some of the very best SUVs of this size. The new eight-speed Quickshift auto is a huge improvement on the six-speed gearbox it supersedes and there seems to have been a real, concerted effort on the part of Ford to make the Edge as quiet, smooth and comfortable as possible. It does an excellent job of limiting wind noise and road roar (bear in mind, our test cars were on studded tyres for the conditions, so when they were on exposed tarmac there was every right to expect a loud, rippling sound from the wheels - yet it never materialised), while the lusty 2.0-litre engine only really gets vocal at the upper reaches of its rev range. With a great driving position and good visibility out in all directions, the Edge is one of those family SUVs that puts as little stress on its driver as it possibly can; and that's a commodity that will surely be most gratefully received by potential customers. It's all very amenable and safe, then, and about the riskiest thing Ford has done is persevered with an all-diesel powertrain line-up for the Edge. Whether any petrol variants, or - more pertinently - hybrid derivatives, are on the way remains to be seen. While prices for the 2019MY Edge have not yet been revealed, the old model started at €47,995 - so although there's now a 150hp, front-wheel-drive version that might bring this down a bit, we're still expecting the Ford to be priced more alongside the truly premium German-Scandi rivals, rather than being something that clearly undercuts them. That makes it a heck of a lot more cash than some of the biggest five-seat, C-segment SUVs - which might, conceivably, do everything you'd demand of the Edge, only for significantly less outlay - while seven-seat SUVs of the ilk of the Hyundai Santa Fe, Peugeot 5008, SEAT Tarraco and all-conquering Skoda Kodiaq have the Ford licked for interior practicality, certainly if passenger numbers are your main priority. At least the Edge comes stocked to the gunwales with safety and comfort kit, even at Titanium level, to make its purchase price that tiny bit easier to swallow - but the decision to go solely with diesel power doesn't pay any clear running-cost dividends, especially not with this twin-turbo engine, which struggles to achieve 40mpg combined and which sits in a lofty Band E for road tax and thus incurs a €750 annual bill. Ouch. There's nothing in the book known as '101 Hard and Fast Rules for the Automotive Industry' that says an SUV must offer seven seats, or must be cheap if it's not German or Swedish. And yet, the revised, 2019MY Ford Edge reaps the same conclusion we've always had about it: it's likeable, handsome, damned spacious and super-relaxing to drive, yet it's nothing like as convincing an all-round package as an Audi/BMW/Lexus/Merc/Volvo rival and it's also way more expensive than some really excellent seven-seat SUVs of similar physical stature. If you're a Ford devotee or you simply need a massive boot, this might be the first SUV you look at. For everyone else, there are finer options available elsewhere. 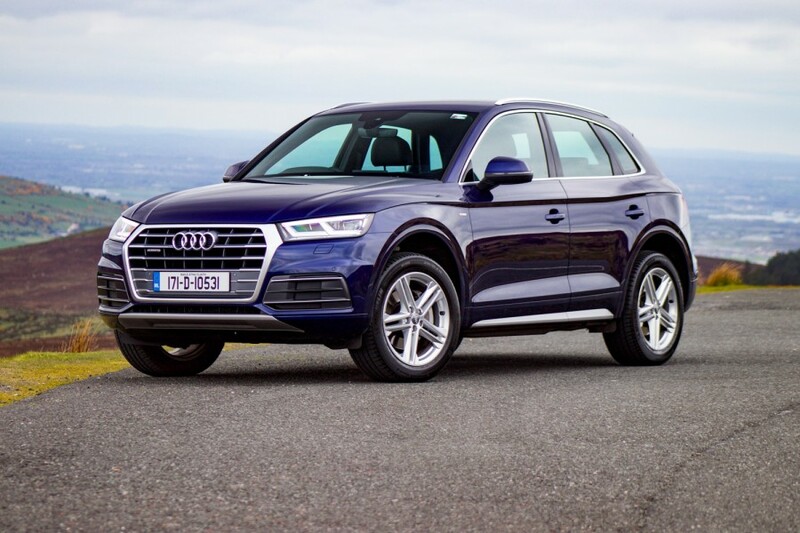 Audi Q5 vs. Ford Edge ST-Line (2019): as the Edge is more comfortable than sharp-to-drive, we've picked its three most similar premium rivals. The Audi isn't particularly flashy in one area, but it is super-strong in every discipline. Ford's boot beats the 550/1,550-litre item on the Q5. 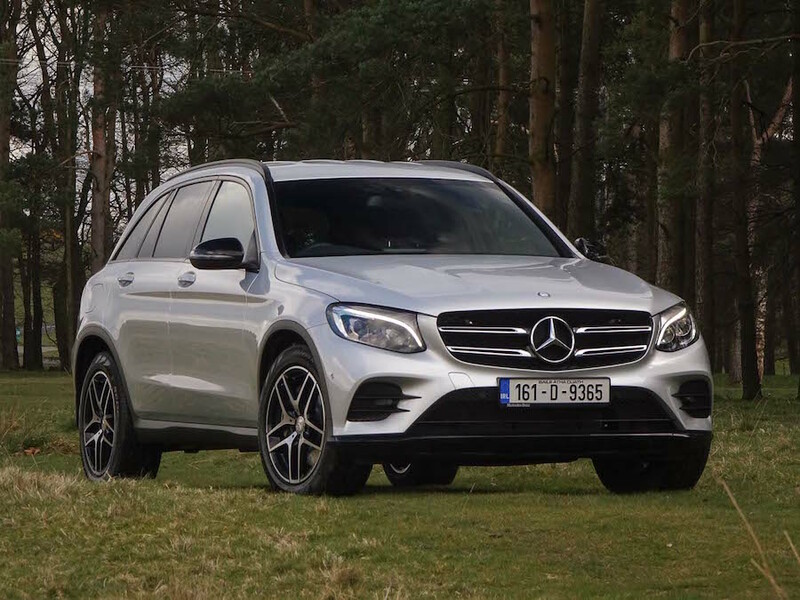 Mercedes GLC vs. Ford Edge ST-Line (2019): really stylish and with epic comfort levels on the Air Body Control suspension, the GLC is one of our class favourites; the Ford can't match it, save for cargo space. 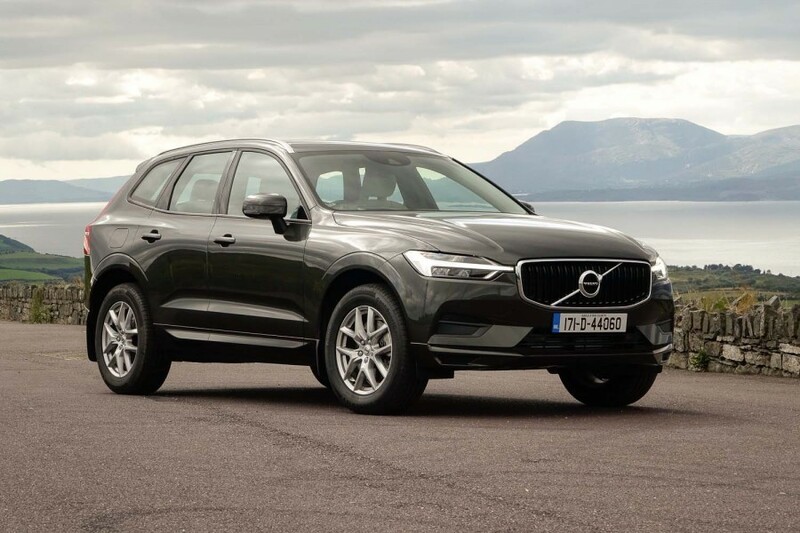 Volvo XC60 vs. Ford Edge ST-Line (2019): Volvo's interior and exterior aesthetic beats the Ford; the infotainment is better, and you could say the Swede is also more refined. Boot space is small, though, at 505-1,482 litres.